EVs going mainstream: Along with plug-in electric vehicles making it to the one million mark for U.S. auto sales in October, it was historic and interesting to see the Tesla Model 3 continue to make the Top 10 in America’s light-duty car segment — in October coming in at #6 behind the Hyundai Elantra and before the Nissan Sentra. In an interview this week with Recode, CEO Elon Musk said that 5,000 cars produced a week at its Fremont, Calif. plant has become the norm, and that’s being raised to 6,000 to 7,000 units a week. To hit about 6,500 a week “it would have to stress people out and do tons of overtime,” he said. How long for AVs to go mainstream: It was a milestone to see California grant Waymo the right to test self-driving vehicles without human safety drivers. Waymo has been putting in the hours and reporting the data — more than 10 million miles of real-world public-road testing, and seven billion miles of simulation testing. But it’s still in the testing phase in U.S. states allowing for it, and a few other countries overseas. We’re probably looking at a decade from now before they’re commonly seen on roadways. Perhaps trucking will see it first, with the lack of available commercial-grade drivers and accidents caused by those not getting enough sleep. Cargo carriers may have to come up with their own insurance for their fleets, as insurance companies are making it difficult to find the right coverage. Subscription services comes to ride-hailing: Uber is following Lyft — and several automakers — by now offering customers a subscription service, called Ride Pass. Users are guaranteed set prices for a monthly fee. That comes out to $24.99 in Los Angeles, and $14.99 in Austin, Orlando, Denver, and Miami. Subscribers pay fares based on historical data and won’t change based on demand or other circumstance, such as the costly “surge pricing” during peak hours. Lyft launched its All-Access Plan last month. The service costs $299 per month and gives users 30 rides worth up to $15 each. If a ride costs more than $15, the user pays the difference. Automakers have been offering their subscription services in recent years — with BMW, Cadillac, Mercedes-Benz, Porsche, and Volvo, tapping into the car financing model where customers who might have been reluctant to come over to the brand are trying it out; with the hope they’ll be loyal brand buyers and tap into their dealer networks for service and maintenance, shared ride services, etc. Ride-hailing firms going public: Uber and Lyft, the top rivals for the U.S. ride-hailing market, are engaged in another race to see who can launch a successful stock market public offering first. 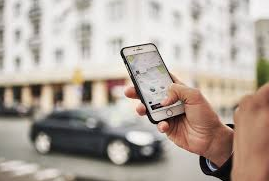 While Uber went through disastrous upheaval not long ago, CEO Uber Dara Khosrowshahi, who took over a little more than a year ago, appears to be reviving the ride-hailing giant. Uber may be getting a 2019 offering at a $120 billion valuation, far above recent private market levels. Lyft, meanwhile, could find a public valuation of over $15 billion, which is much closer to IPOs than what some analysts expect Uber to find next year in initial market value. Musk going to Mars: While 2018 is turning out the worst of times for Tesla CEO Elon Musk, things are looking brighter on the space transport side of the business — with his grand vision of taking passengers to Mars. His SpaceX company’s Big Falcon Booster will see a factory being built in the Port of Los Angeles, 15 miles south of the company’s headquarters in Hawthorne. SpaceX is getting a lot of support for its Mars mission from NASA, along with contracts for cargo delivery. Another federal agency, the Securities and Exchange Commission, has taken a dim view of Musk, but that’s getting worked out with a federal judge approving Musk’s settlement with the SEC. Musk’s mission to Mars goes back before he came over to Tesla. In 2002, he founded the space travel and exploration company through his frustration that NASA wasn’t doing enough to get humans to Mars. It’s typical to see him featured in interviews wearing his “Occupy Mars” t-shirt to get the message across. Highlights from AltCar Expo: AltCar Expo speakers talked about the key issues that government regulators, fleet managers, automakers, and technology partners are facing deploying clean vehicles and supporting clean fuels and energy in California. The popular ride-and-drive was a showcase for green vehicles of all types, including the debut of Electra Meccanica’s Solo single-passenger electric vehicle. The Audi etron 55 quattro was displayed and discussed in a panel by Audi of America’s Spencer Reeder; and attendees had a preview of the new Chanje V8100 Generation 2 Model of the electric van by the Chinese manufacturer. Terry Tamminen, who now serves as CEO at the Leonardo DiCaprio Foundation, talked about the lack of clear understanding in the federal government over climate change and its devastating impact from Hurricane Michael and other signs of dire conditions. Former head of California’s Environmental Protection Agency and later Cabinet Secretary under Gov. Arnold Schwarzenegger, Tammimen served as architect of key legislative changes including the Global Warming Solutions Act of 2006, the Hydrogen Highway Network, and the Million Solar Roofs Initiative. He sees California playing a critical role in the future of government policy and supporting growth in clean transportation. The state’s mandate to have 100% renewable energy by 2045, and tapping into more renewables to power the state’s energy grid, are signs of the state’s commitment to fight climate change. The cost of electricity dropping from $4 a watt when Schwarzenegger took office to under $1 a watt now is a sign the economic dynamics are coming together, as well, he said. Santa Monica city council member, and Innogy e-Mobility US strategy and market development head, Terry O’Day, had a conversation with annual AltCar award winner Phillip Kobernick, Logistics Service Manager for County of Alameda, about the latest in Bay Area developments for clean vehicles and infrastructure. The county’s fleet now has 300 hybrid vehicles and 80 all-electric vehicles in its 1,300-vehicle fleet. Hybrid police patrol cars, motorpools, and car-sharing programs are supporting these efforts, he said. The County of Alameda and other government fleets in the region are tapping into incentives for chargers being purchased and installed, with the county reaching about 1,400 charger locations, he said. Kobernick offered three suggestions for meeting sustainability targets: gaining better data from EV usage patterns, similar to what’s available now on gasoline-engine vehicles; more charging options based on fleet vehicle duty cycles — such as when Level 1 charging can work and nighttime charging; and becoming smart users in the electricity grid — how to work with utilities on avoiding being penalized with extra fees during peak demand periods. He’s also interested in exploring whether battery swapping might work in EVs, such as police patrol cars that don’t have downtime to wait for charging. Stay tuned for an upcoming video link in Green Auto Market that will show the Friday speakers. That will also include “Is California Past the Turning Point?” moderated by Marco Anderson, Southern California Association of Governments and featuring Clinton Bench of UCLA Transportation, Kobernick, and Ken Reichley of Southern California Edison. “Are Auto Makers Truly Committed to Low- and No-Emissions Technology?” was moderated by Sue Carpenter of KPCC “Take Two” and featured Anthony Luzi of Electra Meccanica and Spencer Reeder of Audi of America. Reeder also discussed where Volkswagen’s Electrify America program will be going in the next couple of years. Nio IPO: Chinese electric car startup Nio made its way to the stock market, raising $1 billion in its IPO this week and market valuation at $6.42 billion; but that’s well below the $20 billion company executives had been initially hoping for. Shanghai-based Nio is targeting the premium electric-SUV segment, calling itself Tesla-competitive in its home market of China. 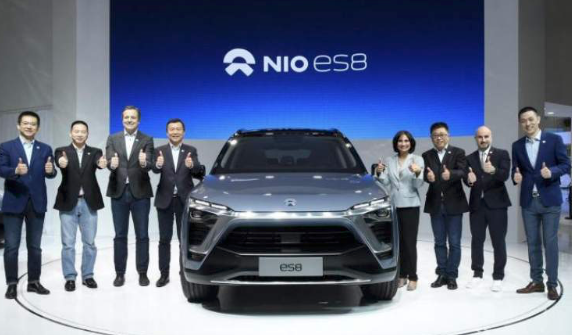 Nio launched its first electric SUV in December, the seven-seat Nio ES8, which is priced at about half the cost of a Tesla Model X sport utility in China. Formerly known as NextEV, Nio says it will be bringing an autonomous EV to the U.S. by 2020. The ES6, an electric five-passenger SUV, is in development. Nio backers include Chinese internet giants Baidu and Tencent, as well as Chinese smartphone maker Xiaomi. Tencent also owns a small stake in Tesla stock. Tesla Inc. has been losing executives this year, with turbulence coming from the company transitioning into a mass market automaker with production of the Model 3. CEO Elon Musk’s erratic behavior has also taken its toll. Justin McAnear, vice president of worldwide finance and operation, said in a statement Wednesday that he is leaving to take the role of chief financial officer at another company. Tesla’s chief accounting officer, Dave Morton, announced his exit last week. The work pace at Tesla and the level of public attention of the company were cited as reasons for his departure. One executive, Jerome Guillen, may be able to keep pace with Musk’s intense demands. Guillen has been named president of automotive operations, and is known for being a skilled multitasker who’s been able to operate within the Tesla culture. While President Trump’s high import tariffs have taken their toll on several industry sectors, solar power has been able to find growth and stability. Data reported on the the second quarter of 2018 showed signs of a market turnaround. Utility solar project procurement soared in Q2 2018 as component prices declined and home solar installations steadied after a 15% contraction last year, according to the latest U.S. Solar Market Insight Report from Wood Mackenzie Power & Renewables (previously known as GTM Research) and the Solar Energy Industries Association. The International Council on Clean Transportation (ICCT) on Wednesday released its white paper analyzing the fuel efficiency of the 20 leading airlines on routes between the U.S. to Europe in 2017. Following rigorous scientific assessments, Norwegian once again rose to the top as the most fuel-efficient airline on transatlantic routes for a second time, also receiving this honor in 2015 when the ICCT released its first study. Findings showed Norwegian, on average, achieved 44 passenger kilometers per liter, which is 33% higher than the industry average. Norwegian, flies one of the youngest fleets in the world, comprised of Boeing 787 Dreamliners, 737-800s and 737-MAXes. Amazon continues to invest in the grocery delivery business, now expanding Whole Foods Prime Delivery to 10 additional U.S. cities. The full list of 38 cities now includes Charlotte, Las Vegas, Memphis, Nashville, New Orleans, Oklahoma City, Phoenix, Raleigh, Seattle, and Tucson. Coverage will also be expanding in New York, Los Angles and Dallas/Ft. Worth. Amazon acquired Whole Foods, known for its organic and locally-grown produce, last year for $13.7 billion. ACT Research Co. forecasts commercial electric vehicles will make up a “significant share” of the Class 4 through Class 8 market in 2030 to 2035. Growth will be coming from U.S. truck makers, new startups, and engine manufacturer Cummins Inc. Interest is coming from fleet operators who need to reduce tailpipe emissions and reliance on diesel fuel. “They want to take it into production but it all depends on how that market votes,” ACT Research Co. Vice President Steve Tam said. 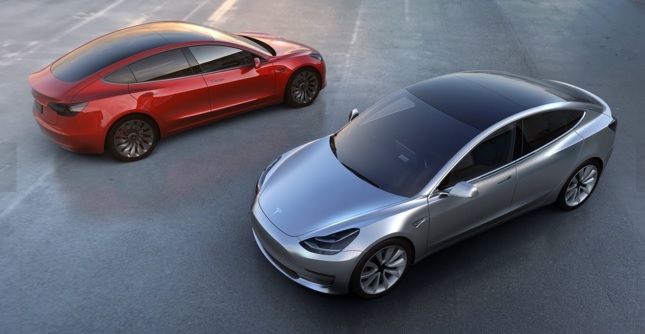 Premier EVs rolling out: German automakers are now stepping up to their commitment made two years ago at the Paris Motor Show to become Tesla-competitive and produce production-level premier electric vehicles. 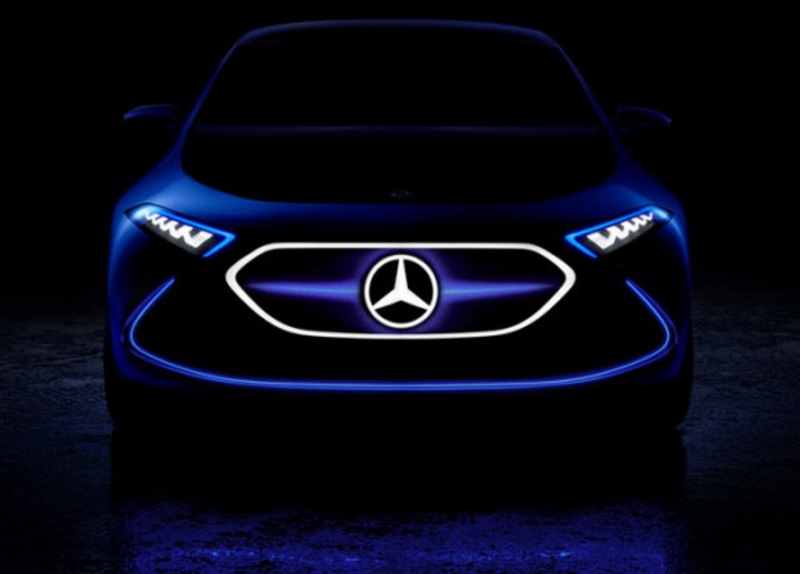 Mercedes-Benz unveiled the Mercedes EQC all-electric SUV on Tuesday, and it will be Daimler’s first production model under the company’s electric EQ sub-brand. BMW next week will be flying the autonomous iNEXT electric crossover in a Boeing 777 Freighter to press events in Munich, New York, San Francisco, and Beijing. On Monday, Volkswagen’s Audi began mass production of the Audi e-tron, the brand’s first all-electric SUV with longer range. Audi will unveil the battery electric SUV at a world premiere in San Francisco on Sept. 17. It’s a good time to roll out these high-performance, premier EVs as Tesla and its leader, Elon Musk, face a series of challenges. Production problems for the high-volume Model 3 continue, as do controversial moments with Musk — made more so last night during a podcast (see below). Editor’s note: See my Oilprice link for more articles on EVs and energy trends. California bill supporting clean trucks: Sixty companies are urging California Governor Brown to sign a bill that will encourage more big rigs powered by clean fuels to operate on California highways and roads. Assembly Bill 2061 (D-Frazier) will speed the improvement of air quality in disadvantaged communities that are often heavily impacted by polluting diesel trucks weight limit by a small percentage. Current law restricts the gross vehicle weight of trucks to 80,000 pounds. Because the energy storage and fuel delivery systems for zero emission (ZE) and near-zero (NZE) vehicles are presently heavier than diesel tanks, the restriction means that fleet operators who use cleaner technologies must carry smaller payloads, which creates a significant disincentive. AB 2061 would increase the weight limit for ZE and NZE trucks to 82,000 pounds and thereby improve the business case for cleaner trucks. The bill is co-sponsored by CALSTART, the California Natural Gas Vehicle Coalition, and San Diego County Disposal Association. National Drive Electric Week: National Drive Electric Week will be starting tomorrow at nationwide EV ride and drives. Running Sept. 8-16, the nationwide celebration is geared toward heightening awareness of the widespread availability of plug-in vehicles and the benefits of all-electric and plug-in hybrid-electric cars, trucks, motorcycles, and more. They are fun to drive, are less expensive and more convenient to fuel than gasoline vehicles, are better for the environment, promote local jobs, and reduce our dependence on foreign oil, according the event organizers. Those interested in buying or leasing an EV can go to one of the events and talk to owners who have successfully done so. DOE grants: The U.S. Department of Energy (DOE) announced the selection of 42 projects totaling $80 million to support advanced vehicle technologies that can enable more affordable mobility, strengthen domestic energy security, reduce U.S. dependence on foreign sources of critical materials, and enhance the country’s economic growth. Batteries and electrification projects won $31.9 million in funding. These research projects will develop technologies to recharge multiple electric vehicles quickly and at very high “extreme” power levels; software, controls, and hardware to provide physical and cybersecurity protection of electric vehicles and electric vehicle charging infrastructure. The projects will also work to develop cathode materials for next generation electric vehicle batteries that eliminate or significantly reduce the use of cobalt, an expensive and foreign-sourced critical material. Fuel economy and emissions rule: California clean air regulators met with Trump administration officials on Wednesday to work on resolving their conflict over clean vehicle emissions and mileage standards. 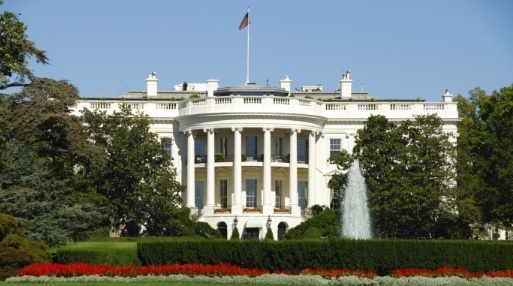 The Trump administration had set off protests and lawsuit filings with its Safer and Affordable Fuel Efficient Vehicles rule that would freeze the mpg and emissions rules at 2020 levels through 2026. It would also take away California’s power to set state emissions rules — which is being followed by a dozen other states and the District of Columbia. Officials said they agreed to hold future meetings to work out the national fuel economy and greenhouse gas emission standards. California Air Resources Board chair Mary Nichols last month told Reuters that she sees a “window” to making a deal this fall. NIO going public: Chinese electric-vehicle maker and Tesla-rival NIO Inc. launched a U.S. stock sale that could raise up to $1.32 billion and bring its market valuation up to about $8.5 billion. That would happen before the startup has generated any substantial revenue. The Shanghai-based company is planning to list on New York Stock Exchange in about two weeks. Lyft also going public: Lyft has started the process for an initial public offering in an effort to beat Uber to the public markets, sources said. The ride-hailing firm has hired IPO adviser Class V Group LLC to guide Lyft management, said people familiar with the discussions who asked not to be identified. Banks will be pitched as financial backers as soon as September with the listing targeted for March or April. In another story, Toyota Motor Corp. announced a $500 million investment in Uber to jointly develop autonomous vehicle technology. The ride-hailing giant will integrate Toyota’s Guardian autonomous technology into Toyota Siennas for use in Uber’s ride-hailing network. AltCar Expo coming in October: The 13th annual AltCar Expo & Conference will be held Oct. 12-13, 2018, at the Santa Monica Civic Auditorium. This year’s conference will focus on California’s trailblazing commitment to alternative technology transportation, infrastructure and energy. “AltCar has become the most nationally respected event for industry, municipalities and general public that showcases the latest products, news and information for alternative technology vehicles and infrastructure,”says California State Senator Fran Pavley. On Friday, Terry Tamminem, CEO, Leonardo DiCaprio Foundation, will make opening remarks. 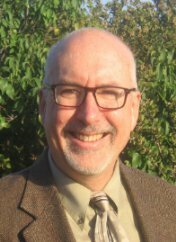 Panel topics include legislative issues, “Current and Ongoing OEM Commitments to Alternative Technology Vehicles,” and “Alternative Technology Transportation – ‘No Turning Back.’” Friday will feature the Industry & Fleet Conference, and the Expo and Ride & Drive is open to industry and the public. Those attending the Friday speaker panels can find an early bird discount here. 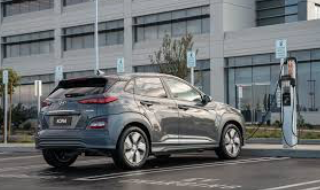 New member to 200-mile plus club: The Hyundai Kona Electric received a rating of 258 miles per charge in the U.S. Environmental Protection Agency’s rating. 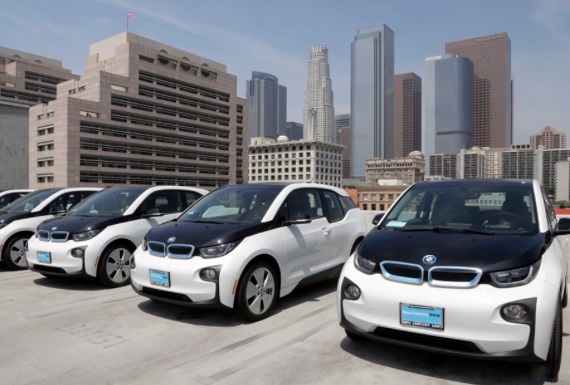 For MPGe figures, it was given 132 city, 108 highway, and 120 combined. The range rating puts it in a small league with above 200-miles per charge vehicles that includes the Chevy Bolt, Tesla Model 3, Tesla Model S, and Tesla Model X. The Kona Electric is powered by a 64 kWh battery that has a 150 kW and 395 Nm electric motor (front-wheel drive), and a top speed of 104 mph. It has 100 kW CCS Combo DC fast charging capability. Lucid Motors finds $1B investor: PIF, the Saudi Arabian sovereign wealth fund that may be helping Tesla go private, may also be investing more than $1 billion in Lucid Motors and its high-performance electric models. According to sources familiar with the matter, that would be $500 million at fist and cash injections later based on goals being met. 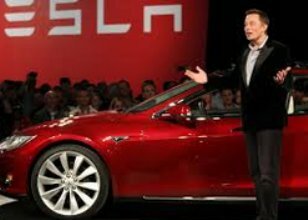 CEO Elon Musk has said that PIF may be investing up to $72 billion in taking Tesla off the stock market into a private company. PIF has already agreed to other investments including $45 billion into a giant fund led by Japan’s SoftBank Group Corp. that will be funding several new mobility technologies. Getaround raising funds: Car-sharing/car rental firm Getaround is taking on Hertz and Avis with its “peer-to-peer car-sharing model. It’s been enough to raise $300 million from an investment round led by SoftBank. The car rental company has raised $400 million since its founding, with Toyota having previously made an early investment in the startup. Using the Getaround app, users can search for cars parked near them to choose one for a ride. The account is set up with the customer’s drivers license and credit card, and the app allows the user to unlock the door from their phone. These cars will be provided by other car owners who join the Getaround network and want to make side income off their car when they’re not using it. Ford recalling some electric models: Ford is recalling the charging cords for more than 50,000 of its plug-in hybrid and battery electric cars sold in North America since they could cause fires in electrical outlets. The 120-volt charging chords came with certain 2012 through 2015 Focus all-electric cars and some 2013 through 2015 Fusion Energi and C-Max Energi plug-in hybrids. Ford reported that four fires had started in C-Max vehicles, but there no injuries. In three of the fires, owners had been using their own extension cord, which Ford had warned against doing. The fourth fire was inconclusive and Ford said it does not believe the fire was related to the cord. Dealers will be getting new cords for Ford owners to replace the first version; the new cords can sense high temperatures and shut off charging if necessary. Letters will be going out to owners starting next week. CALSTART event next month: CALSTART will host the “Global Commercial Vehicle Drive-to-Zero” workshop on Sept. 11 at the Bay Area Metro Center in San Francisco. CALSTART will launch a new seven-year program during the event aimed at dramatically reducing greenhouse gas emissions by 2025 with a focus on global medium- and heavy-duty vehicle markets. It’s an affiliate event for the U.N. Foundation’s Global Climate Action Summit (GCAS) supporting the Paris Agreement. 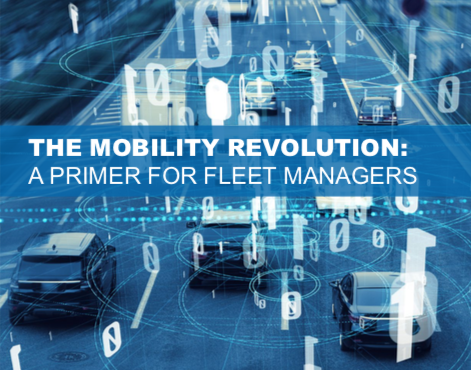 Under contract with the California Air Resources Board (CARB), CALSTART has done an extensive analysis, validated by global OEMs, and identified which segments of the medium- and heavy-duty vehicle market could most rapidly transition to zero- and near-zero emission technology. The event next month will kick-off a multi-year partnership between CALSTART and those who share the vision of making commercial zero emission vehicles widespread by 2025. Visit this page to register. SEC and Tesla: The U.S. Securities and Exchange Commission is investigating Tesla CEO Elon Musk’s provocative tweet Tuesday about taking the electric-car company private, according to two people familiar with the matter who’ve asked to not be named. SEC enforcement attorneys in the San Francisco office had already been gathering information on the company’s manufacturing goals and sales targets, with Musk’s tweet being added and investigated for its credibility. Tesla’s potential to go private comes during a turbulent period of hard-to-reach production targets for the Model 3. The company’s stock prices have jumped and fallen this week — up after his statement that he’s secured funding for taking the company private, and down 4.8% today to $352.45 as doubt grows over Musk’s company blog post on his goal to buy out shareholders at $420. The SEC said the inquiry is preliminary and won’t necessarily lead to anything more formal such as charges of wrongdoing. 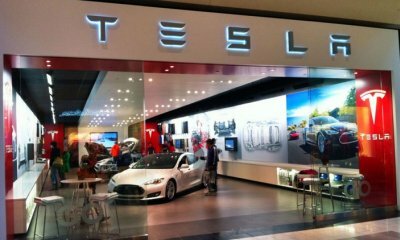 The SEC has shown concerns over another matter regarding Tesla going private. On Wednesday, the SEC sent the company a subpoena regarding Musk’s Monday blog post that Saudi Arabia’s sovereign fund first approached him last year about taking Tesla private last year. Tesla could become one of around 200 investments made by Vision 2030, Saudi Arabia’s campaign to reduce its oil dependence and diversify its economy. Musk wrote that the country’s Public Investment Fund recently bought an almost 5% stake in Tesla, and were part of his recent tweet that his proposal to go private had “funding secured,” he said. The SEC is now facing new legislation signed this week by President Trump that expands the government’s authority to investigate and potentially block foreign takeovers of domestic companies. The federal government still has authority to examine foreign investments in U.S. companies even when its not a majority stake acquisition. If the Saudi Arabia sovereign fund comes through, it would be the second significant foreign investor in the electric carmaker. China’s Tencent Holdings Ltd. owns almost 5 percent of the company, according to data compiled by Bloomberg. Ford and AVs: Ford Motor Co. has outlined the values and practices of its autonomous vehicle (AV) strategy in a new report, “A Matter of Trust.” The 44-page report covers Ford’s goals, philosophy, priorities and technical approach to AV development; and its provides details about its work with Argo, an artificial intelligence company that Ford invested in last year. The two companies have been researching communication between AVs and pedestrians through a partnership with Virginia Tech Transportation Institute. Ford and Argo and also conducting pilot programs with Postmates and Domino’s Pizza studying customer interaction with driverless vehicles. Ford is the third company after Waymo and General Motors to release such a report. BYD in Thailand: BYD has delivered 101 battery electric e6 hatchback cars to Bangkok, with another 1,000 more to come. The agreement with Thailand to export an additional fleet of cars moves BYD to the number one position in the country‟s market for all-electric vehicles. Bangkok‟s new e6 fleet will be utilized as VIP taxis and as part of a car sharing service. With just two hours of charging time, BYD cars are able to travel up to 400 kilometers (248.5 miles). Electric scooter market: There’s a new mobility competitive battle to gain share with consumers who’d rather pay for a ride than own a car. Bird and Lime are two startups that offer electric scooter rentals in dozens of markets in the U.S. and Europe. These scooter services have Uber and Lyft beat on pricing. For example, in Los Angeles, Uber has a minimum fare of $5.60, while Bird offers just $1 plus $0.015 per minute in LA and other markets. Uber does have a partnership with Bird’s competitor Lime. The report is the first issues of The Rideshare Guy’s Mobility Report. Ultra-low NGVs: Southern California Gas Co. (SoCalGas) and Food Express, Inc. (FXI) announced the addition of 11 new ultra-low emission natural gas trucks to the FXI fleet. The company, with the assistance of SoCalGas, applied for and received $1.1 million in grant funding for the new trucks which started making deliveries this week. The company has an additional 35 trucks on order. Funding was received from the Prop 1B program administered by the San Joaquin Valley Air Pollution Control District and the California Hybrid and Zero-Emission Truck and Bus Voucher Incentive Program (HVIP). Electrify America ad campaign: Electrify America, Volkswagen’s company investing in electric vehicle charging infrastructure and promoting the adoption of Zero Emission Vehicles (ZEVs), has launched its first-ever national advertising campaign leading into the fall television season. The integrated campaign kicks off with national TV broadcast, radio, and a website, www.Plugintothepresent.com. The advertising campaign, “JetStones,” used the theme song from two popular Hanna-Barbera cartoon, “The Jetsons,” and “The Flinstones,” in its TV and radio spots. The idea here is to bring personal transportation out of the Stone Age and into the future. The advertising spot features electric vehicles from six different car manufacturers to showcase a wide variety of EVs available in today’s marketplace.